Sakai Guides and DocumentationSakai Complete User Guide MessagesWhat is the Messages tool? 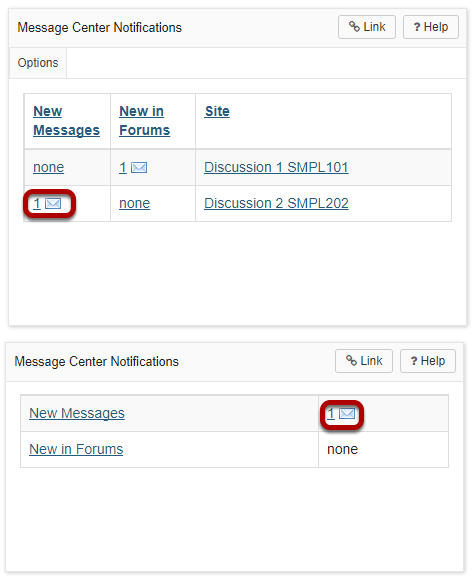 You may also click on the new message number indicator or envelope icon from the Message Center Notifications shown either in Home, or on the Overview page in your site, to go directly to Messages for a given site. Prev: How do I assign an "owner" to a Lessons page? Next: How do I view my messages?